GMO Answers was created to do a better job of answering your questions—no matter what they are—about GMOs. We believe it is important to seek out and listen to the questions consumers are asking so that we can provide answers and links to resources that help address consumers’ concerns about GMOs, the technology behind them and their role in agriculture. That’s why GMO Answers conducted a national survey to identify, for the first time, the top questions consumers have about GMOs. We’ve compiled the top 10 questions and reached out to scientists, farmers, doctors and other experts to provide answers. Over the course of the next nine weeks, we’ll post one new response each week, so we hope you’ll check back for new answers and follow us on Twitter at @GMOAnswers, where we’ll tweet new answers as they are posted! 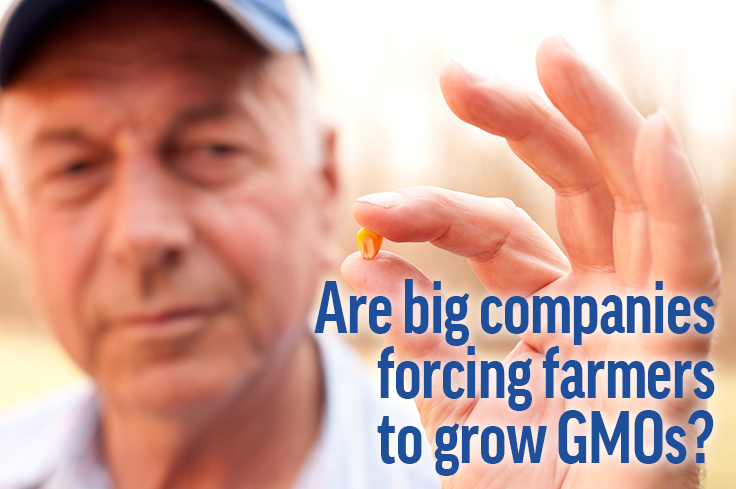 You can also find these answers on our Top 10 GMO Questions Pinboard. If your questions about GMOs do not appear on the page below, please feel free to search our archives or submit a new question. We’re excited to provide answers to the top consumer questions and hope these resources will help you gather facts about GMOs so that you can better understand the role of biotechnology in agriculture. 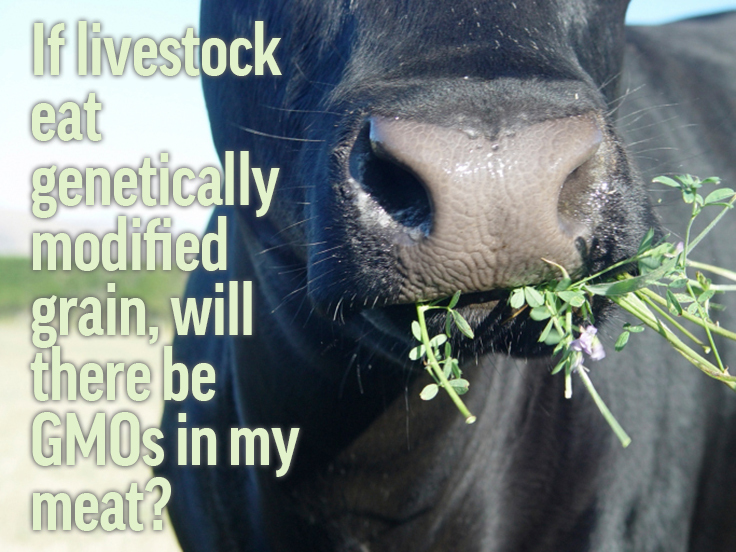 Week #10 - If livestock eat genetically modified grain, will there be GMOs in my meat? In the United States, livestock have been consuming feed made from GM crops for almost twenty years. More than two-thirds of GM corn and half of GM soybeans are used for livestock feed. In that time, GMOs have never been detected in the milk, meat or eggs derived from animals fed GM feed. First, it’s important to understand that almost all the food that we (or animals) eat contains DNA and proteins. The DNA and proteins found in food, GMO and non-GM, are released from the food and processed by the digestive system in our gastrointestinal tract. During digestion, GMO and non-GMO DNA is broken down into the four nucleotides that make up all DNA, and/or into small nucleotide fragments. Similarly, proteins, again GMO and non-GM, are broken down into one or a few of the 21 amino acids that exist in nature. Many, many studies have been conducted on the potential for GMO DNA or proteins to be transferred into animal tissues. No intact or immunologically reactive protein or DNA has been detected in animal tissue. If a cow eats GMO corn or soy is there any way to tell or is there any difference in that animal’s meat or milk as opposed to an animal that consumed only organic feed? 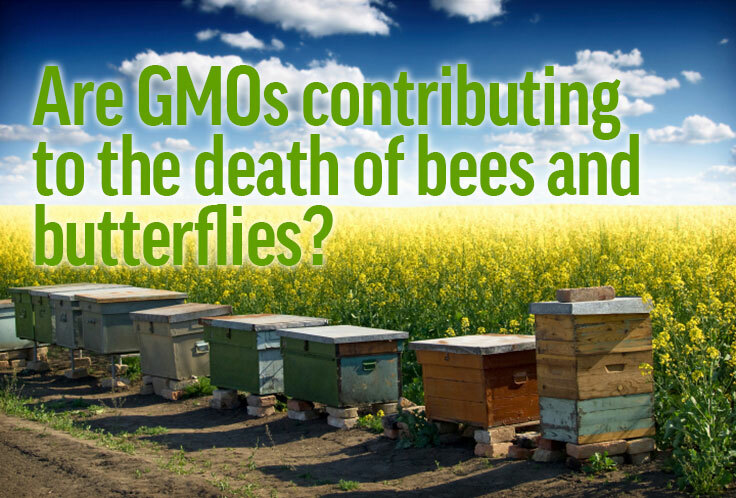 Week #9 - Are GMOs contributing to the death of bees and butterflies? 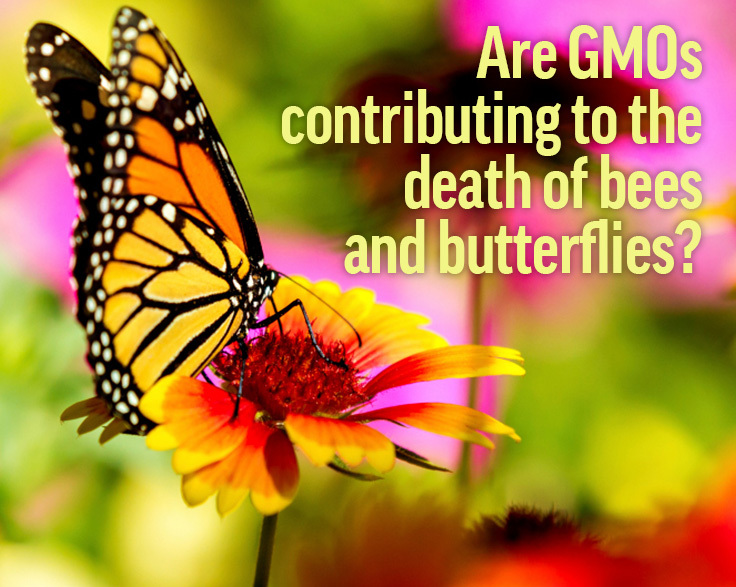 Last week, we addressed the claim that GMOs are contributing to the death of bees; this week we’ll discuss the second half of the question about butterflies. There are a variety of factors impacting monarch butterfly populations, such as deforestation, parasitism, and ebbing populations of their host milkweed plants. Andrew Kniss, associate professor of weed ecology and management at the University of Wyoming, explains why the cause for the milkweed decline is a complex issue, concluding that while herbicides may have played a role in the decline of species like milkweed, “the research does suggest that there are more important factors than herbicides responsible for the decline of native plant species near crop fields, including milkweeds.” This study he points to was conducted by USDA-ARS and Penn State scientists. What can be done? Shifting land management practices is one important factor affecting milkweed and other nectar plants that sustain monarchs. Researchers, conservation groups, government agencies and the agricultural community are identifying ways to reestablish functional habitat on the agricultural landscape while continuing to recognize the need for productive agricultural systems. Farmers have an important role to play in the conservation of monarch butterflies and can support a monarch recovery by helping to replenish milkweeds in rural areas. Similarly, everyone can support a monarch recovery by helping to establish butterfly gardens in urban and suburban areas. There are hundreds of these gardens that have been planted through efforts by groups such as Monarch Watch and the Monarch Joint Venture. It is important to note that before a genetically modified crop can be grown commercially, companies developing GM plants must demonstrate that the new plants are not harmful to “non-target” insects, such as bees and butterflies. This is part of the rigorous health and safety testing that GMOs must undergo before coming to market, which includes a mandatory review by the Environmental Protection Agency of GM plants that are insect resistant or herbicide tolerant to assess their environmental impact. This post by Steve Savage, discuss the extensive regulatory review process required for GMOs. This is a big topic, so we are breaking the answer into two parts. This week we’ll address to the first half of the question regarding bees, next week we’ll explore butterflies. The insecticidal proteins produced by the currently available insect protected crops are derived from a common soil bacterium and all of the proteins used in insect-protected GM plants are tested for toxicity to honey bees. None of these proteins have provided any evidence of harm in either short or long term testing with both adult and larval honey bees. Additionally, in May 2013 the USDA and EPA released a comprehensive scientific study on the many factors that contribute to CCD – none of which are GMOs. GMOs have any relation to what is happening with the bees? If GMO is so safe why are hundreds of thousands of bees dying? I’m pretty sure Monsanto and the rest are aware of this. 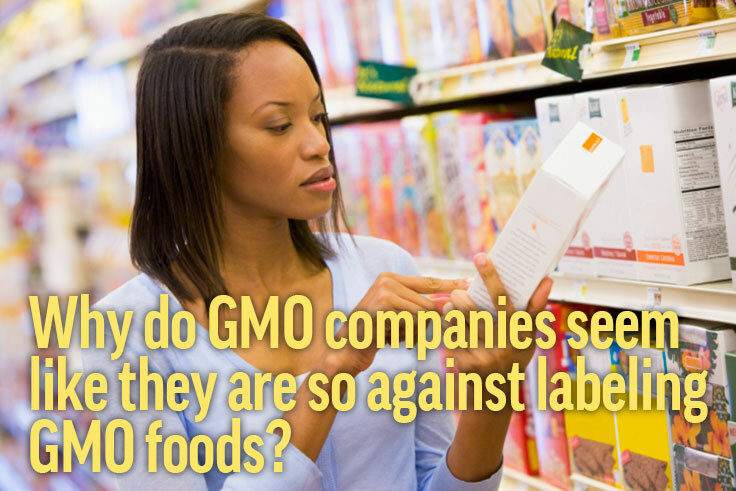 Week #8 - Why are companies against labeling GMO foods? In the United States, foods are labeled according to FDA policy, which requires a label “anytime a food differs from its conventional counterpart in a meaningful way, such as a reduction in nutrients, the introduction of an allergen or even a change in taste or smell.” The purpose of mandatory food labeling is to convey information to consumers about the safety and nutrition of a product. For more discussion on GMO labeling, see the responses below. You claim there is nothing wrong with GMOs. If this is true, why do you spend so much money to prevent labeling in the US? Why do you spend millions of dollars opposing GMO labeling? Aren't you proud of your products? Why are there so many food companies against GMO labeling and willing to pay out millions and billions to block laws passing labeling? It cannot cost as much to just listen to the consumer and give them the information that they are demanding, I for one have stopped buying from these companies and will continue to vote with my dollars until I am heard! Week #7 - Are GMOs causing an increase in pesticides? Reducing pesticide applications saves farmers time and money by decreasing the amount of chemicals they need to purchase and the number of times they need to apply them to fields over the course of a growing season. This also has translated into documented benefits to the environment including the reduction in greenhouse gas emissions, equivalent to taking 10.2 million cars off the road for one year (GM Crops: Global Socio-Economic and Environmental Impacts 1996-2011, Graham Brookes & Peter Barfoot). Graham also describes the benefit of herbicide-tolerant GM technology, stating that the “volume of herbicide used in GM corn crops decreased by 193 million kg” from 1996 to 2011. That’s more than a 10 percent reduction.” The use of one herbicide, glyphosate has increased however, as farmers sought to adopt herbicide-tolerant crops and to use more benign chemicals on their farms. Although the use of one herbicide has increased, this has not led to an increase overall. This has also raised questions about weed resistance to glyphosate, which John Soteres addresses in this answer. 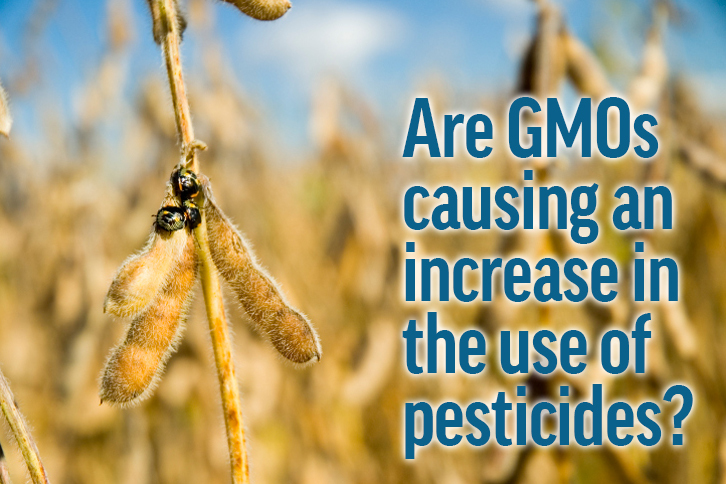 How do GMOs play a role in reducing pesticides? Several GM crops have been developed specifically for insect resistance or herbicide tolerance, which allows farmers to use fewer pesticides on GM crops. For example, the European corn borer is one of corn’s primary pests. It can damage the ears and stalks of corn by chewing tunnels, damaging the plant and inhibiting growth. Farmers can control for this pest by planting GM corn resistant to the European corn borer, which reduces the need for pesticides and helps increase yield by preventing damage to the corn crop. Furthermore, Andrew Kniss, a weed ecology and management professor at the University of Wyoming, explains how herbicide-resistant crops allow farmers to use fewer toxic herbicides in the field in this post. This presentation from the Federal Department of Economic Affairs, Education and Research (EAER) in Switzerlanddetails the role of insect-resistant GM technology in the context of IPM. This article discusses how GM crops can help make agricultural production more efficient while reducing the environmental impact of pesticides. Today, someone tweeting the following: “Did you know? With the introduction of GMOs in our food, pesticide use went from 1.5 million pounds in 1999 to 90 million pounds in 2011.” Is this accurate? 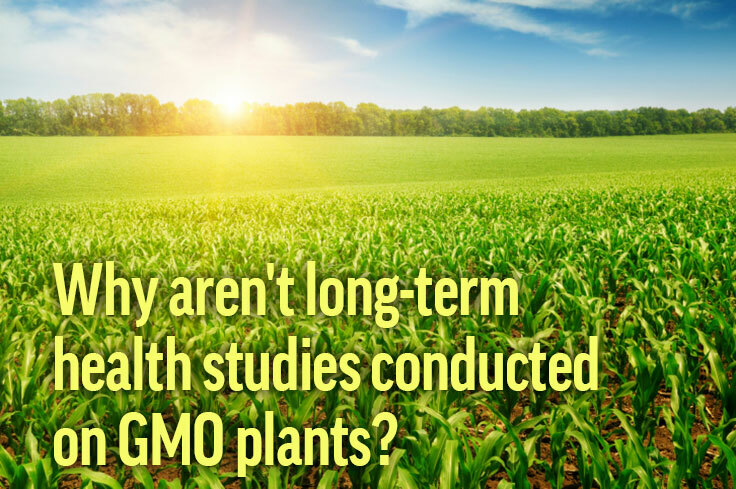 Week #6 - Why aren’t long-term health studies conducted on GMO plants? As you know, many anti-GMO people claim that GM crops are lack of long-term study on animal's health. To believe GMO is safe enough, I would like to know 3 things; How long is the longest study on long-term effects for animals? How can I reach to the data? What makes such kind of people to believe that there is no long-term study? 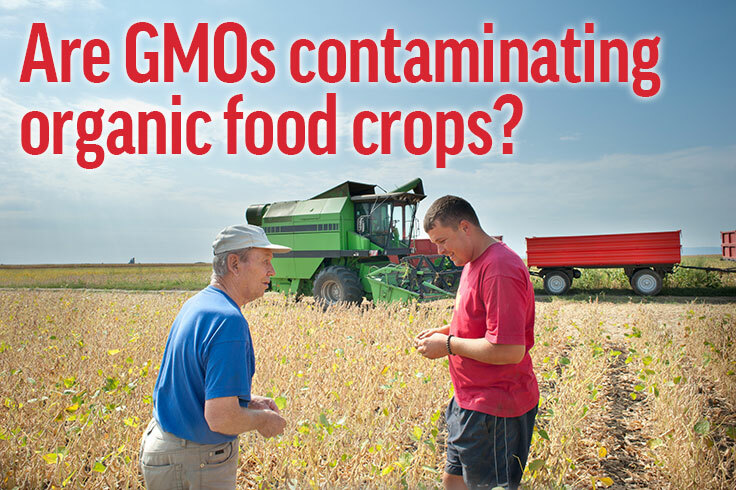 Week #5 - Are GMOs contaminating organic food crops? 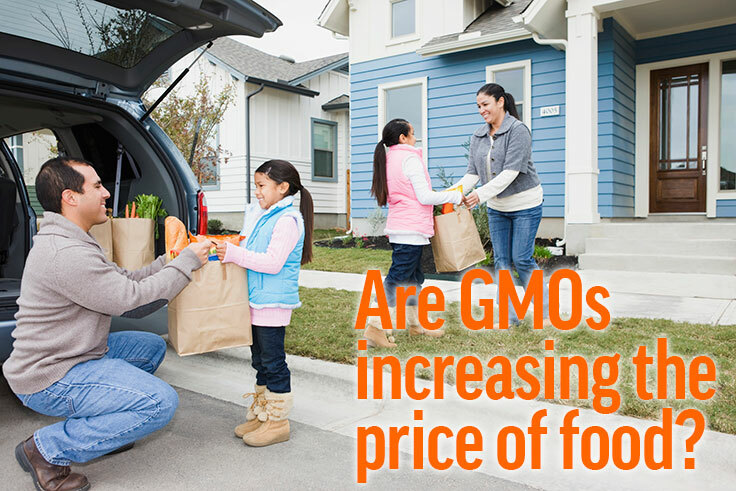 Week #4 - Are GMOs Increasing the Price of Food? Other experts have weighed in with their perspectives on this issue—take a look! Since all stages of GMO conventional agriculture heavily rely on petroleum, how will this affect the price of food and environmental pollution in the long term? For this question, we reached out to Brian Scott, an Indiana farmer who grows corn and soybeans, to talk about his experience purchasing seed for his farm. He explains that "none of the seed companies force farmers like me to buy any particular product…I can buy any seed from any vendor I choose from one year to the next." In another response, available here, Brian goes on to say that "each farmer should have the freedom to farm how he or she chooses." We couldn't agree more. GMO Answers respects farmers' right to choose seeds based on what is best for their farms, market demand and local growing environments. In fact, it is one of our five core principles—available here. Many farmers have chosen to avoid planting the GMO seeds, for whatever reason, and aren't given the choice to extract them once the seeds have infiltrated into their crops. I have read that Monsanto has sued farmers whose fields have exhibited evidence of having Monsanto seeds mixed in with an otherwise non-GMO crop, and this has occurred due to the natural tendency of plants to cross pollinate, leaving the farmers no choice but not to grow corn or soy, assuming that they haven't been run out of business by Monsanto's threats. · …Do you support farmer's private property rights, and if so, how do you propose containing GM pollen? It is important to remember that if a person is allergic to a non-GM plant, he or she will also be allergic to the plant’s GMO counterpart. 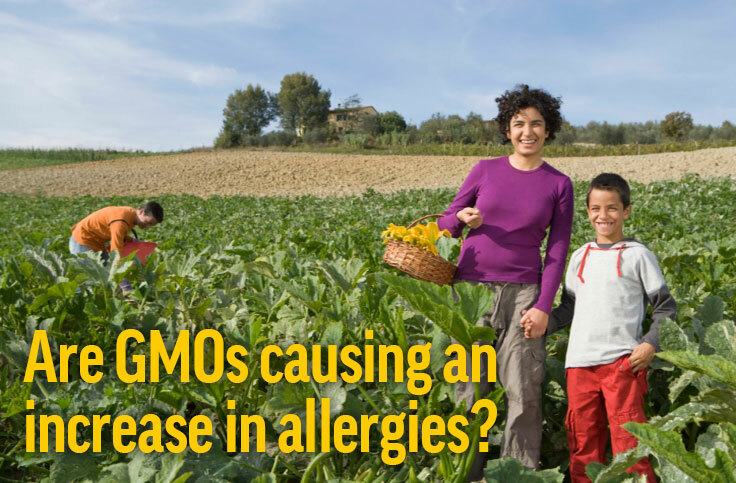 But GMOs do not introduce any new allergens. In fact, researchers, academics and companies are working on new GMOs that have the potential to help people in this area—for example, peanuts with very low allergen levels that have the potential to eliminate life-threatening allergies to peanuts. More information is available here and here. Is there good evidence that inserting genes of allergenic organisms into those that dont normally contain them will not cause allergic reactions in people sensitive to specific allergens, e.g. soy? We know that consumers have concerns, so we reached out to Dr. Kevin Folta, University of Florida interim chairman and associate professor, Horticultural Sciences Department, for an answer. 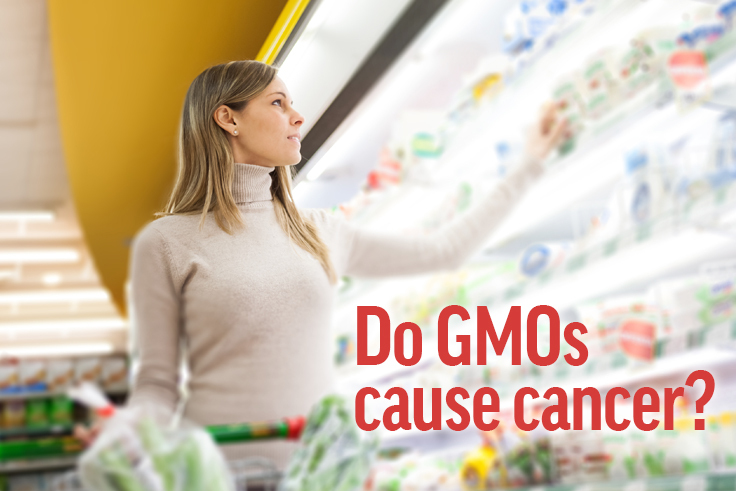 "The short answer is no, there is absolutely zero reputable evidence that GMO foods cause cancer," he writes. You can read Kevin Folta's full response to the question "Do GMOs cause cancer?" here. There are also multiple resources (links below) which explore this topic on GMO Answers. How can you say that [GMOs] are safe, when recent studies (not conducted by Monsanto) show a direct link to breast cancer from glyphosate?